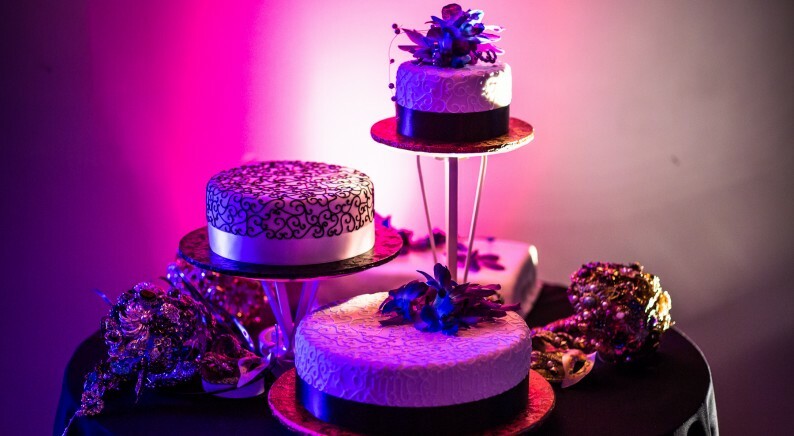 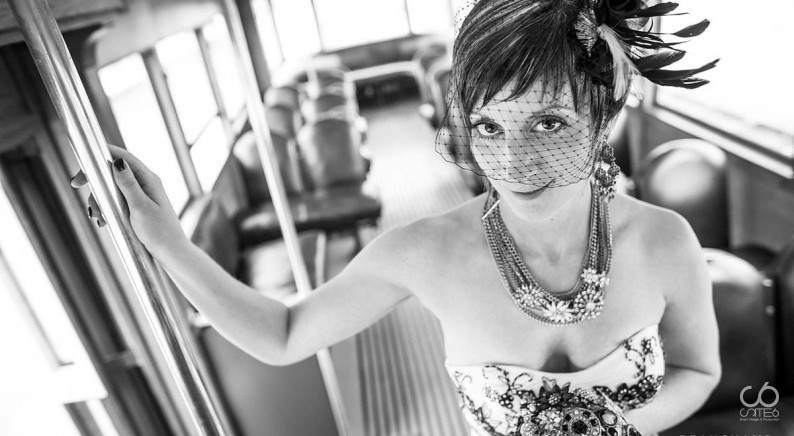 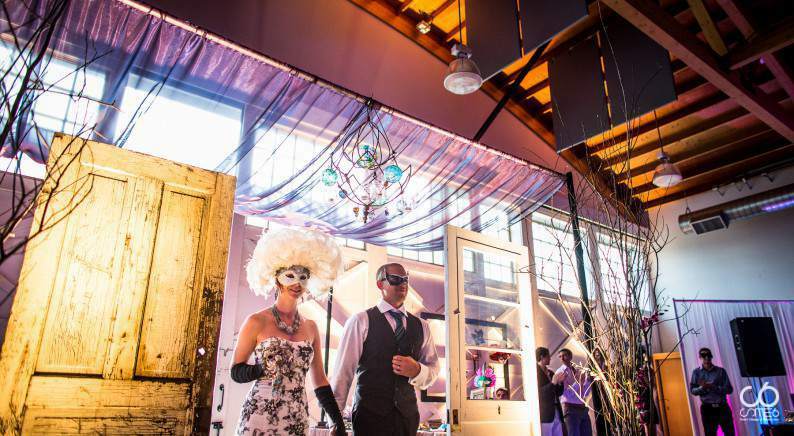 Corinne and Mike, a couple with discriminating and unconventional style, hired our team to work closely together in creating a unique masquerade theme for their wedding reception. 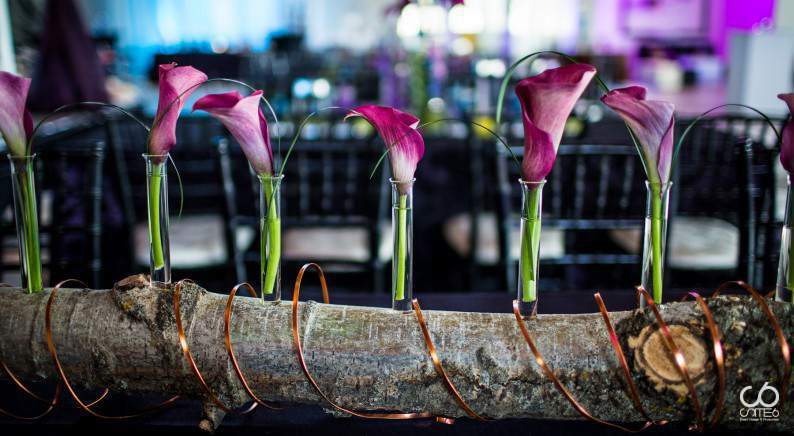 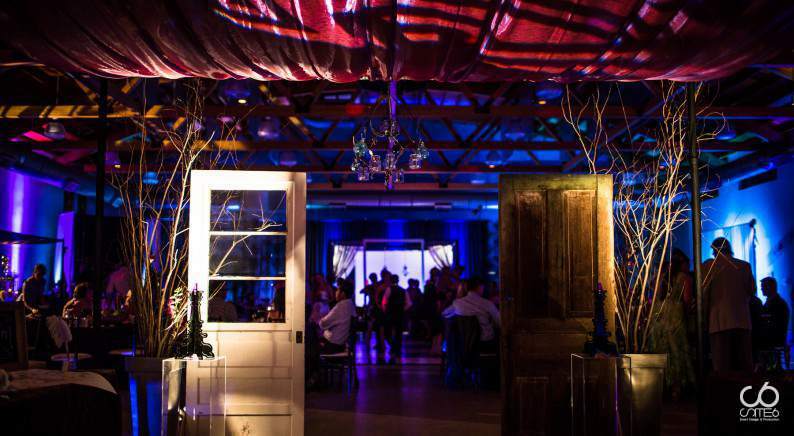 Over several months our team worked to create a design that would not only wow their guests, but also tell the story about the night they met. 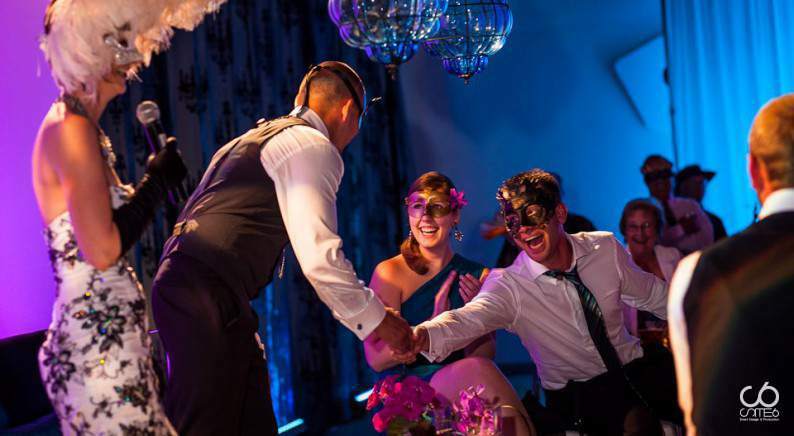 Nearly three years ago, mutual friends had thrown a masquerade party to celebrate their birthdays and it was here Mike and Corinne were first introduced to each other. 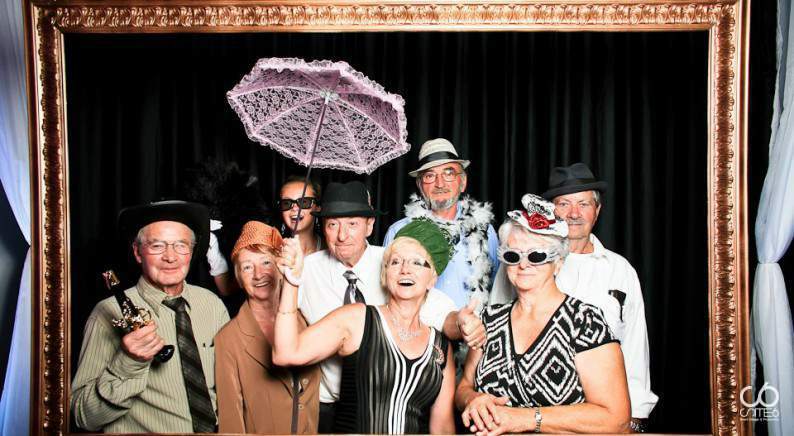 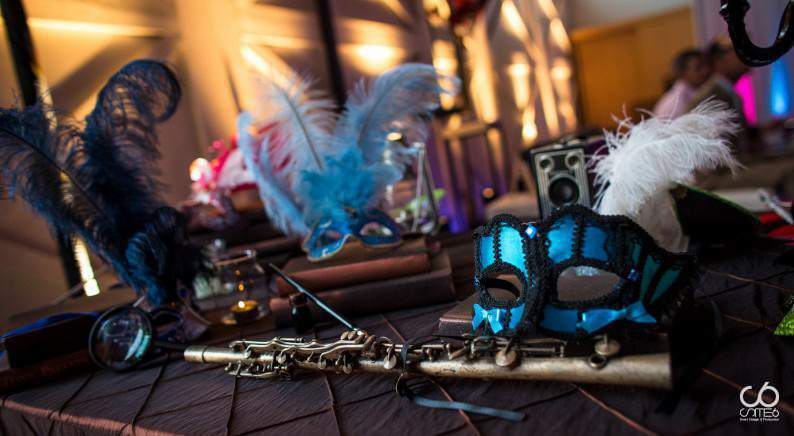 It was the magic of that first masquerade party that was the inspiration for their wedding reception. 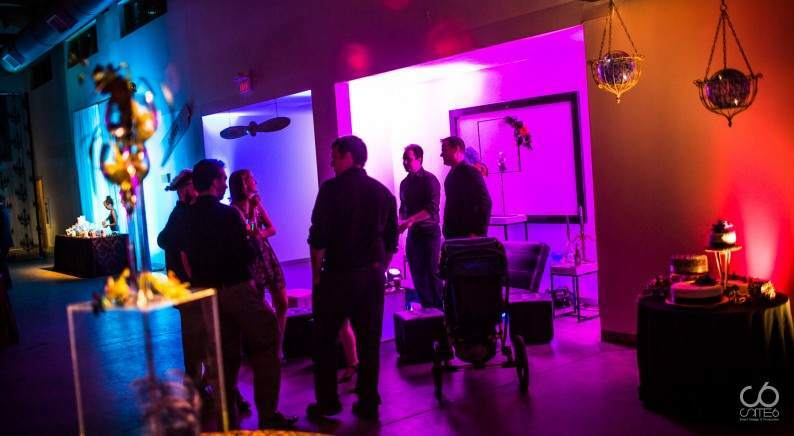 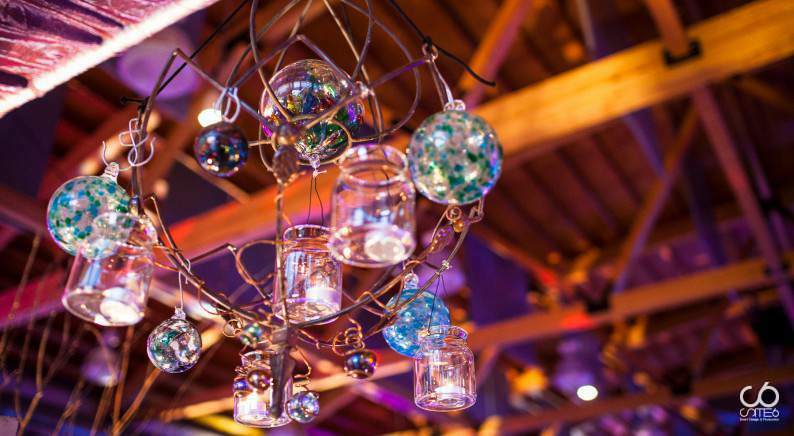 We incorporated antique, steam-punk elements and colourful décor details combined with an urban-lounge feel. 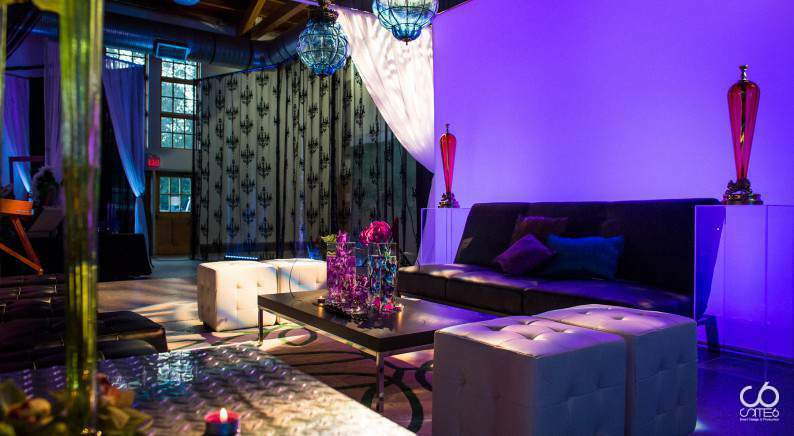 To accomplish the urban aesthetics they enjoyed from our portfolio as well as encourage interaction, we decided on an open floorplan with a wide variety of seating and standing options from soft seating lounges to café style seating, high-top tables with bar stools and long rectangular tables with chiavari chairs. 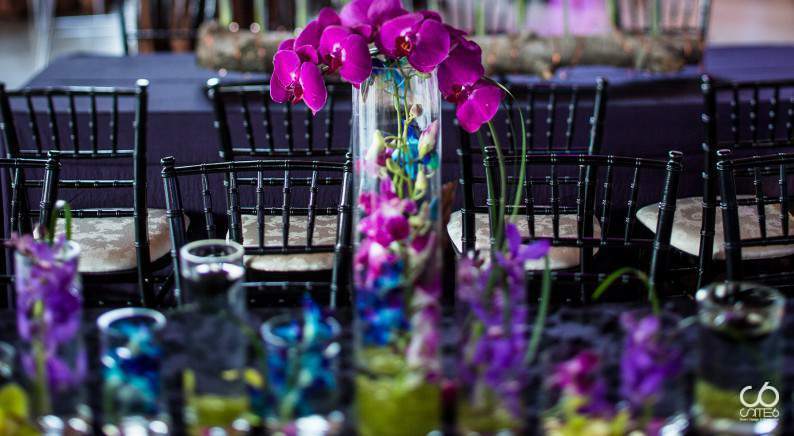 For an intimate and yet vibrant atmosphere, we incorporated a tremendous amount of detailing in the overall décor of the room from antique chandeliers and colourful glass globes to brass instruments and gold candelabras with vibrant orchids and calla lilies, combining the old with new. 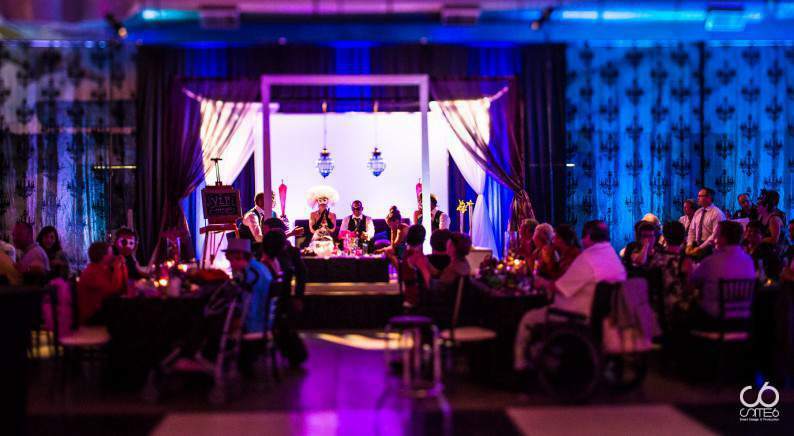 To replace the traditional head table, we created a VIP lounge for the bridal party with luxury soft seating, colourful pillows and antique glass décor staged behind an ultra-large picture frame. 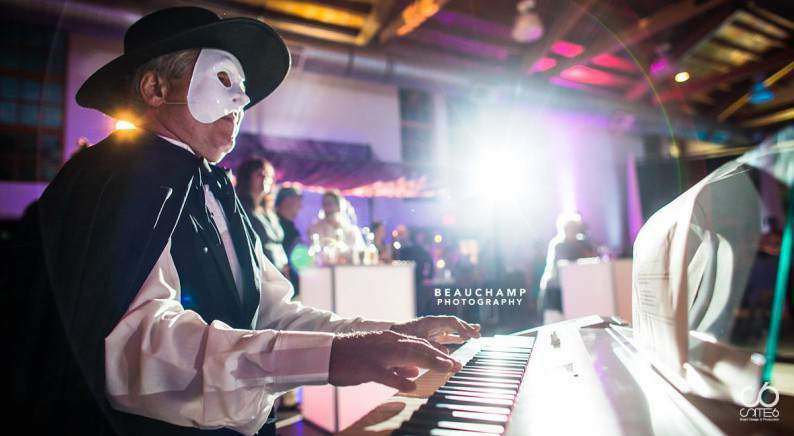 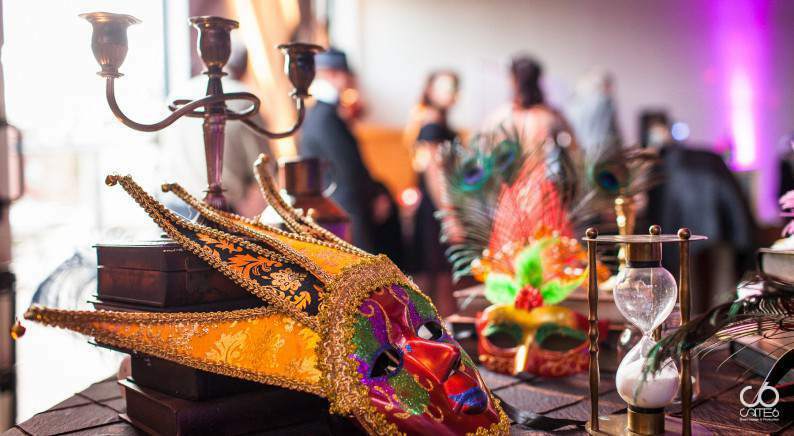 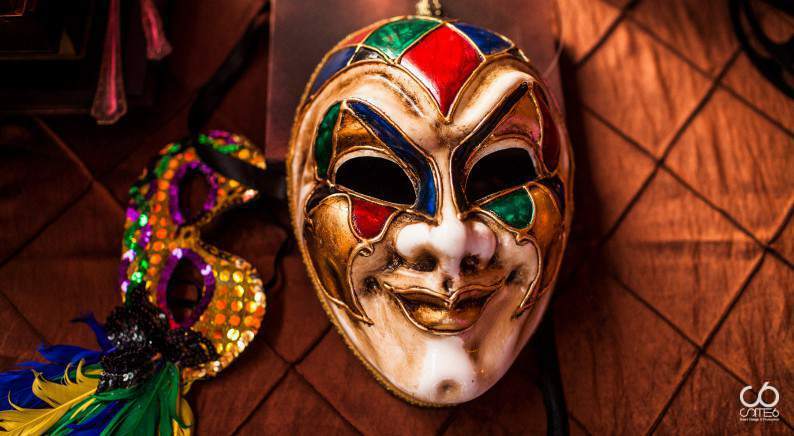 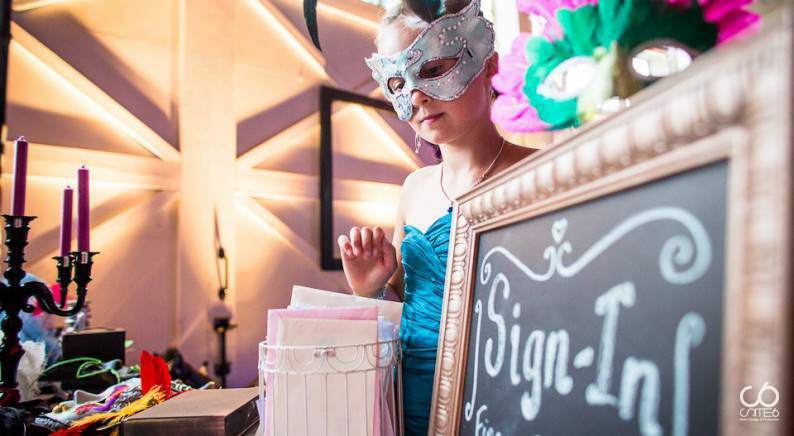 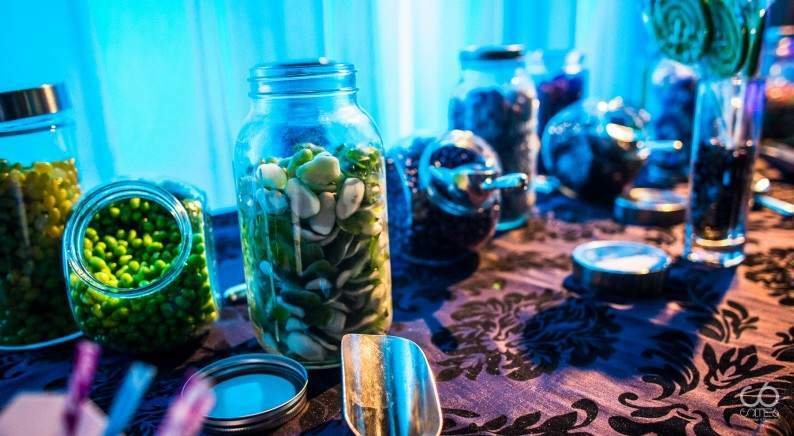 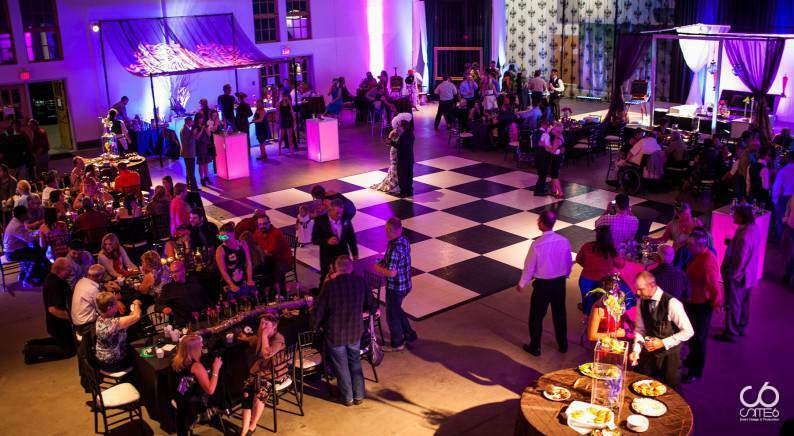 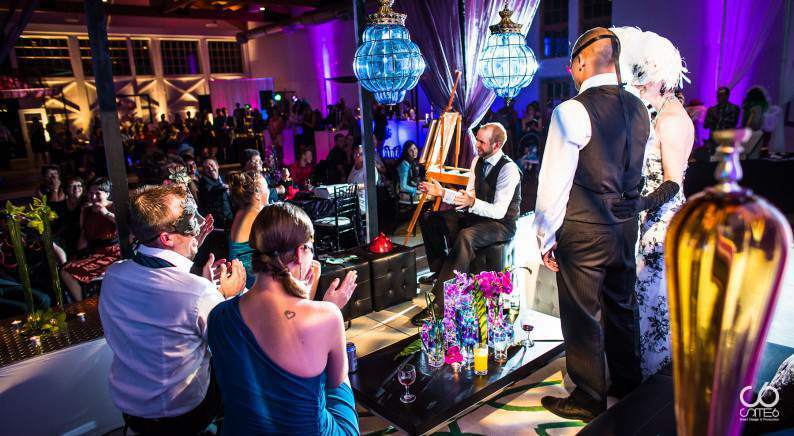 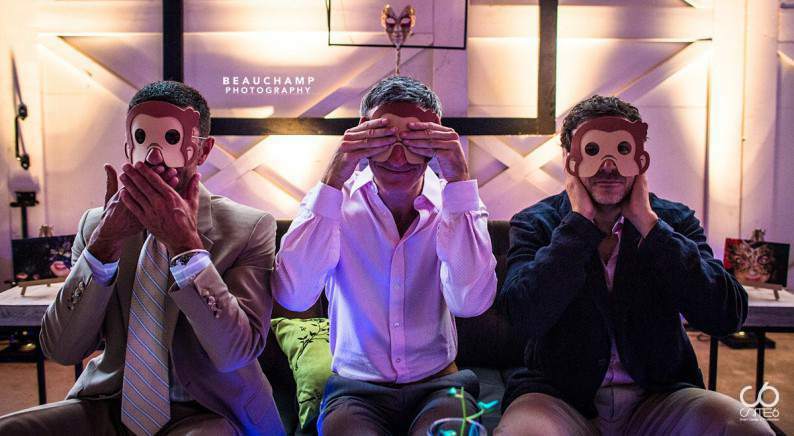 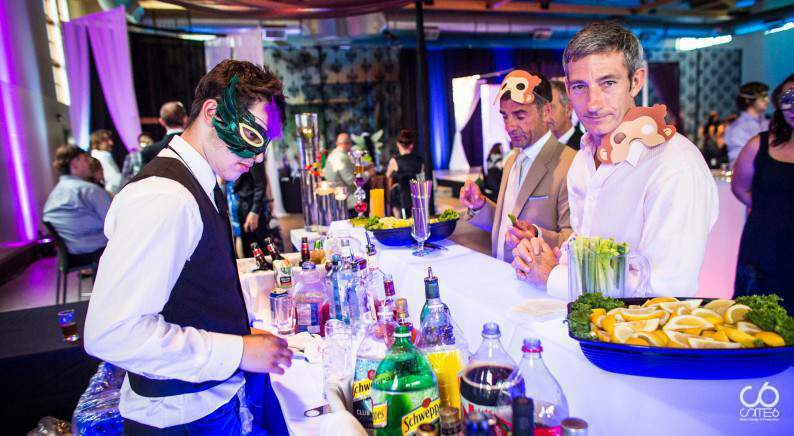 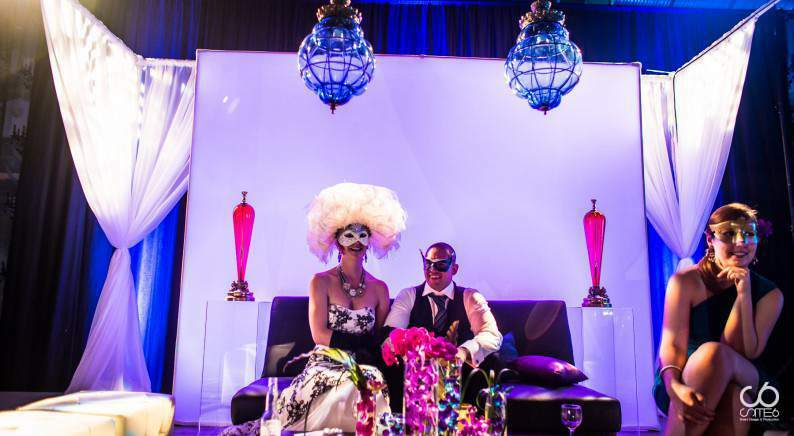 With themed props, Venetian masks and vibrant lighting design, guests were transported into a true masquerade experience and fun-filled evening.